Headin' Home Panel by Elizabeth's Studio. 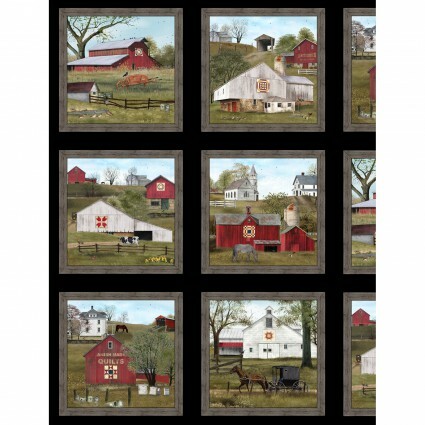 Amish theme with quilt barn and horse and carriage. Blocks on black background. Each block measures 6 3/4" x 7". Panel is 23" x 42-44" with 15 blocks. 100% cotton.